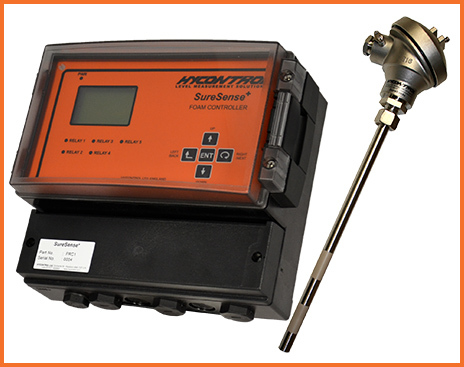 The SureSense⁺ is an advanced wall-mounted foam controller, which connects to up to three sensors mounted in single or multiple process vessel(s). This multi-probe capability allows for fully independent monitoring and dosing control of up to three tanks from a single controller, offering multi-tank users a significant cost saving. 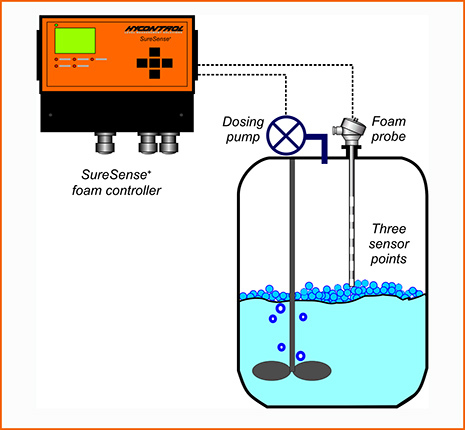 SureSense⁺ allows for accurate control of aqueous foam by sensing and differentiating between foam and liquid contact. 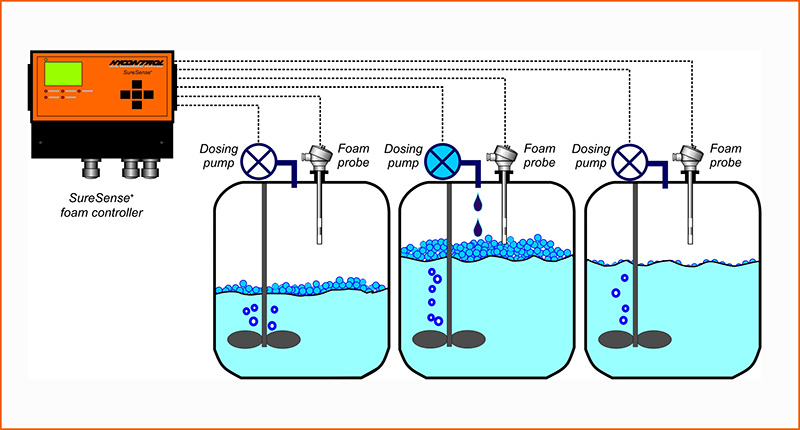 Utilising one of a selection of control algorithms, the controller can activate a dosing pump to either keep the foam at a fixed level or to reduce the foam height as required. It offers both proportional and delay-and-shot algorithms for anti-foam dosing when controlling a pump or valve, and is pre-programmed with a number of useful factory application settings/recipes to aid set-up. Hycontrol’s unique IMA sensing® technology ensures the system will operate correctly even if the attached sensors become severely fouled. Note: All customers must ensure compatibility of wetted components with the intended application.